BlackBerry's Indian licensee Optiemus Infracom has launched the Evolve and Evolve X in the country. Both phones represent several firsts for the brand, including an 18:9 display, 4000mAh battery with Quick Charge 3.0, wireless charging, and face unlock. Unlike the KEY2, the Evolve and Evolve X eschew the physical keyboard for an all-screen front fascia, with both devices sporting a 5.99-inch FHD+ (2160x1080) 18:9 panel. The screen is backed by a layer of Gorilla Glass 5, and the LTPS display has a maximum brightness of 500nits and oleophobic coating. The Evolve and Evolve X feature fingerprint sensors at the back, and BlackBerry says you'll be able to unlock either device in just 0.3 seconds. More interestingly, both devices offer a face unlock feature as well that takes just 0.4 seconds to unlock the phone. Both phones have a textured back that's similar to what we've seen on the KEY2, and dual cameras make a comeback as well. There's a new camera UI, and the Evolve gets an RGB + monochrome sensor whereas the Evolve X is picking up a telephoto shooter for the secondary lens. The DTEK by BlackBerry suite is installed out of the box on both phones, along with BlackBerry Hub and a battery-saver mode that lets you select custom power profiles. Both phones run Android 8.1 Oreo out of the box. Another new addition is wireless charging, with both the Evolve and Evolve X sporting massive 4000mAh batteries. BlackBerry will start selling its own wireless charging accessory, and there's Quick Charge 3.0 on offer as well if you prefer plugging in. The main difference between both devices is the chipset. The Evolve is powered by a Snapdragon 450, while the Evolve X features the much more powerful Snapdragon 660. The Snapdragon 660 is one of the best mid-range chipsets in the market today, and the performance is on par with the likes of the Snapdragon 820. Therefore, the Evolve X should have plenty of power on tap when it comes to day-to-day usage. However, the Evolve may not fare as well considering the Snapdragon 450 isn't particularly powerful, as we've seen on the Galaxy A6+. 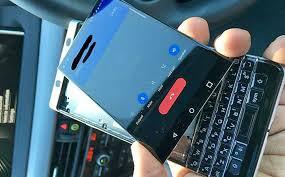 However, BlackBerry's user interface is more in line with Google's vision for Android, and the lack of added bloat should make things faster. Another key difference is the dual cameras. The Evolve X features a telephoto lens for the secondary camera, and the 12MP f/1.8 primary lens should hold its own in this category. Optiemus hasn't shared a lot of details regarding the camera setup on the Evolve aside from the fact that the secondary 13MP camera is a monochrome sensor. The BlackBerry Evolve will be available with 4GB of RAM and 64GB of storage, and will retail in India for ₹24,990 ($365). Meanwhile, the Evolve X with 6GB of RAM and 64GB of storage will make its debut in the country for ₹34,990 ($510). The Evolve will go up for sale sometime later in August, with the Evolve X set to be available from next month. Although both phones have plenty to offer, they're not particularly great when it comes to value. The Evolve is going up against the Nokia 7 Plus, which has a Snapdragon 660, headphone jack, and proven cameras. The Evolve X, meanwhile, costs the same as the OnePlus 6 in the country. Several companies have tried and failed to dethrone OnePlus in this category, and it doesn't look like the Evolve X will be the device to do so. 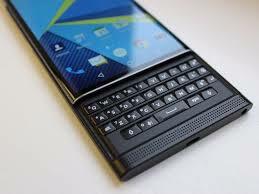 What are your thoughts on BlackBerry's latest phones?